I’m an internal coach and program manager in the tech sector of Silicon Valley, Ca. I believe that through technology, we can automate most things, but “we cannot automate the human relationship.” My goal as a coach is to be a fellow human being and guiding partner on your journey to rediscover your true self. To listen, reflect, ask questions, support and challenge you. To walk alongside you as you find that next place where your unique gifts, talents, passions, skills and interests can best serve the world. Fun Fact: I have finished the Honolulu Marathon (very slowly) 11 times since 2001. Becky does a wonderful job of pushing you to think beyond your perceived limits. When she sees that you’re excited or curious about something, she helps you unravel that idea until you have something concrete and focused to move forward with. Becky is passionate about coaching others as they find their way toward a more meaningful life and fulfilling career. If you feel stuck or confused about your “next” she is here to help! Becky’s an internal leadership coach at Google and leads a coaching program there. Currently called “Guru+” the program began when she, Jenny Blake and another colleague founded it in 2010. It’s a wonderful four hundred person group of volunteer leaders who provide one on one coaching for thousands of employees in sixty offices around the globe. Becky lives and breathes coaching. 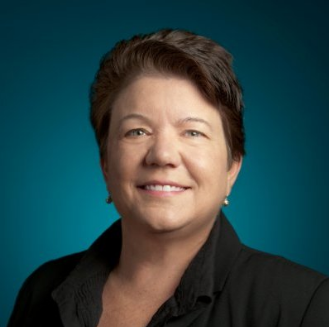 Becky first began her coaching work at Xerox in the late 80’s and that continued when she joined Google in 2005. She has coached over twelve hundred people inside and outside of work on topics such as career development, leadership, communication and emotional intelligence. As a coach she is known to be curious, warm, open, caring, direct and honest. She holds her coaching certification from New Ventures West and has also trained with the Coaches Training Institute, and has most recently passed the ICF Professional Coaching Level Certification. Her Bachelor of Science in Health and Human Services is from the University of Maryland and she has studied internationally with the University of Innsbruck Austria and the Catholic University of Quito Ecuador. In her career, she spent 10 years at Xerox as a Customer Service Engineer and People Manager and another 12 years as an entrepreneur with a successful wholesale and retail online business. She sold that business and joined Google to focus on people development. She currently sits on the Executive Coaching and Leadership team and is passionate about providing a safe place for people of any level, background or challenge to be seen, heard and supported through coaching.